I didn’t mean to upset anyone enough to bring out the caps lock. AI managed to secure a behind the scenes tour. This video answers some interesting questions in the beginning during an interview, which is only really the first two minutes. Then it moves into construction footage. I actually found this to be good content, bringing up interesting factors like rain in the tunnel. The interviewee dodges occasional questions which is funny too. Great footage there. Love the background view and a few questions. But as you said, the dodging was CLASSIC! The interviewer didn’t push the right buttons. Don't really think this is worth it's own separate thread if mods disagree feel free to move it as needed. Looks like Vortex is going to be renamed next season, likely as part of the Frontier Canada section of the park. This isn't all that surprising considering the change to the colors of the trains they did for this season. Temleh, EthanCoaster, Matt N and 4 others like this. The lifthill, the bottom of the drop and part of the Immelmann have been built. Coaster Hipster, Pear, Jaiden M. and 7 others like this. As expected, this is looking great as it rises. Can't wait to see it progress! Looking down from the top and seeing that tunnel is gonna be quite a sight. Should provide some good photo opportunities from off-ride as well. Antinos, Snoo and Hixee like this. Whats a disgusting colour clash. The colour is absolutely disgusting. But, such a massive beast. I really hope they paint vortex too. That pale blue and faded red is just disgusting in it's own right and next to YS it makes it, as well as YS, look even worse. Coaster Hipster, Jaiden M., Snoo and 3 others like this. That is certainly a drop. I've never seen such a long straight section of 90 degree track on a coaster before. This thing is huge. Exactly what I thought. 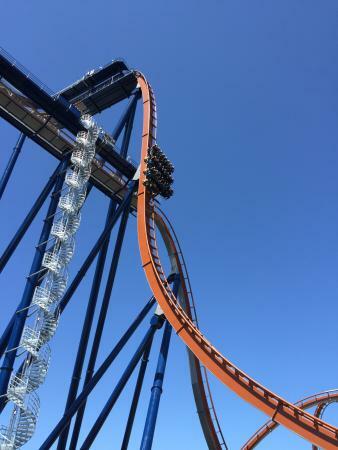 I guess Valravn's must be comparably big, but that picture just looks obscene. Amazing, really! As the heights are very close, you can kinda see the finished product. Of course, when you don't have any other reference point in comparison to something else, just a big ol straight piece of track is incredible. You don't really have that on many other types of coasters out there. Pokemaniac and Hixee like this. Now you post that pic, something else occurs to me. It's interesting that they'd lift in the drop piece before the supports for the lift/turn are in. I'm surprised that section of track can hold itself up. I'll be cool if someone manages to snap a picture of that installed with none of the other supports - would look really wacky. ^ I think the drops on these coasters almost act as a support themselves. ^Kind of agree, but you can see on Valravn the support mid-way up and at the top of the drop. The track is for sure an integral part of the structure, but is it self-supporting? 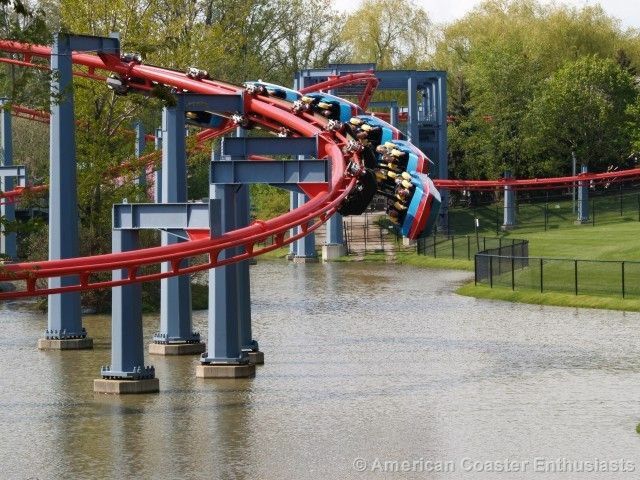 The support halfway up the drop looks to be supported by the track as much as it is supporting it (from the look of the support angle), so it probably doesn't matter which is built first, because when the coaster is completed they'll work together to brace. I would imagine this part of construction has to be planned with the weather in mind, but because it's built to withstand a 20 ton train pass by that it's pretty overengineered at this point and could happily sit there without the support for a while. That's very true. I suppose it really comes down to whether the flange connection on the track is built to take the "bending" load. They could of course have designed those particular connections with a construction sequence already factored it. I just wanna see that picture of it sticking up now, I bet it'll look great!